Manufacturing Career Day is an interactive educational program that is centered around the fields of Manufacturing for high school students at all levels. 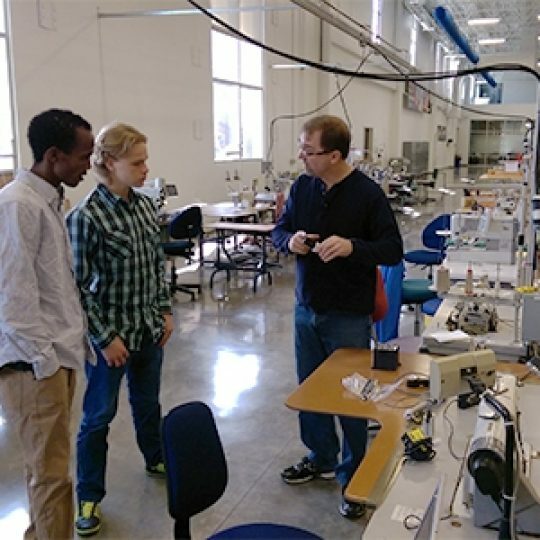 Students participate in a one-day session designed to gain exposure to business leaders, hear from Raven team members, and explore real-life applications of the various disciplines of Manufacturing. I definitely enjoyed the tours the most. I have always wondered what the manufacturing plants were like, and this program showed me everything I wished to see. Participants are given guided tours of the manufacturing facilities for each of our operating divisions. In addition to seeing how product are built, students are also given an up-close look at the tools and equipment used — from manufacturing and testing to product repair. We are thankful for the opportunity to have some of our students tour your facility. The tours provided students with an opportunity to see firsthand potential careers that they could pursue. In addition to the variety of career opportunities for our students, they were also able to learn about the continuing education opportunities that Raven provides its employees. 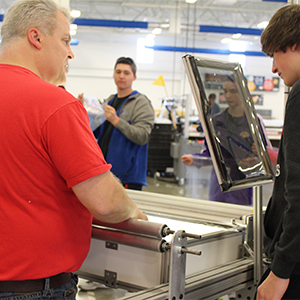 Interested in future Manufacturing Career Day opportunities? Raven also hosts a one-day event for students to explore careers in engineering. Interested?